Disclosure: This is a sponsored posted. As a Stonyfield Clean Plate Club blogger, I received product to create this recipe. All opinions are my own! Looking to spice up your soup night? 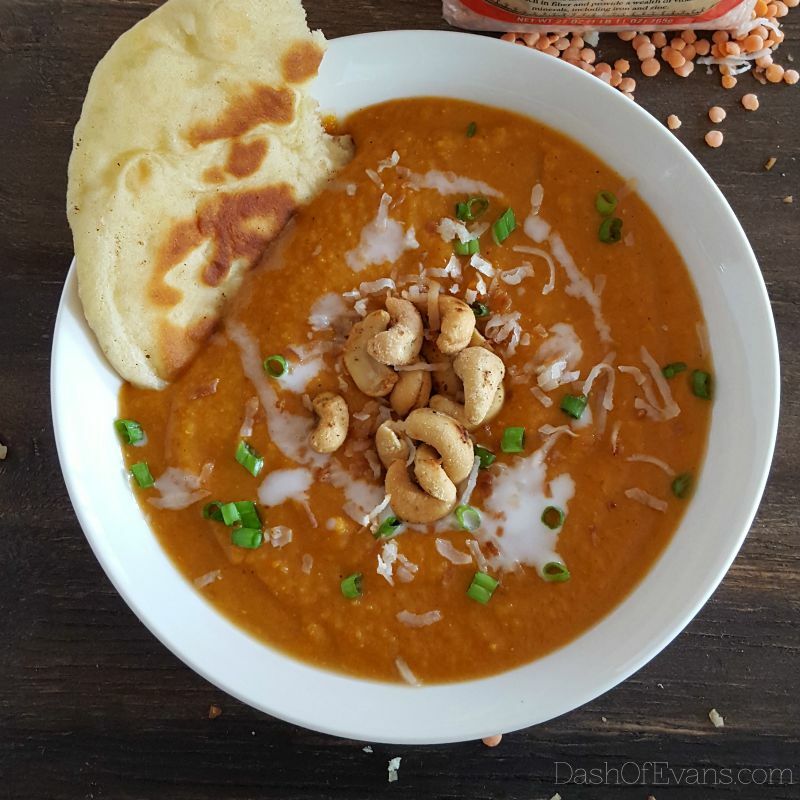 Check out this tasty vegetarian soup with butternut squash, Honeycrisp apples and Indian spices–plus a tasty naan recipe! Growing up in a small town, we didn’t have many ethnic food options. House of Hsu for Chinese food, then Pasquale’s covered Italian. Later on, we had a few other restaurants open up, but we pretty much had to go to East Lansing for anything new. I will say, House of Hsu still has my favorite fried rice EVER. It wasn’t until I went off to college in Madison, WI that I tried Indian food. I always thought I didn’t like curry, but it turns out I just had a bad experience when I was little and I actually LOVE it. In an effort to switch up our menu and my girls’ palates, I’m trying to use new spices in the kitchen. They’re pretty adventurous and are huge helpers, which is always helpful! 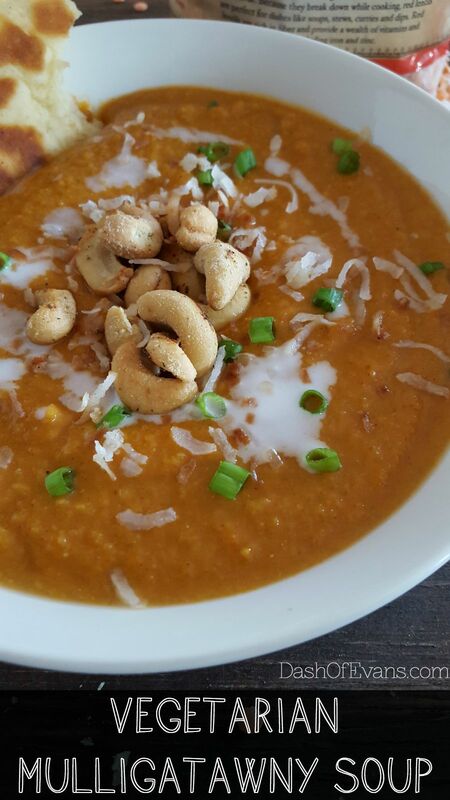 This Mulligatawny soup has a little sweetness from carrots and Honeycrisp apples, a kick of heat from jalapeno and a bold punch of spices. While we love meat, it’s nice to have a hearty vegetarian option that everyone loves. 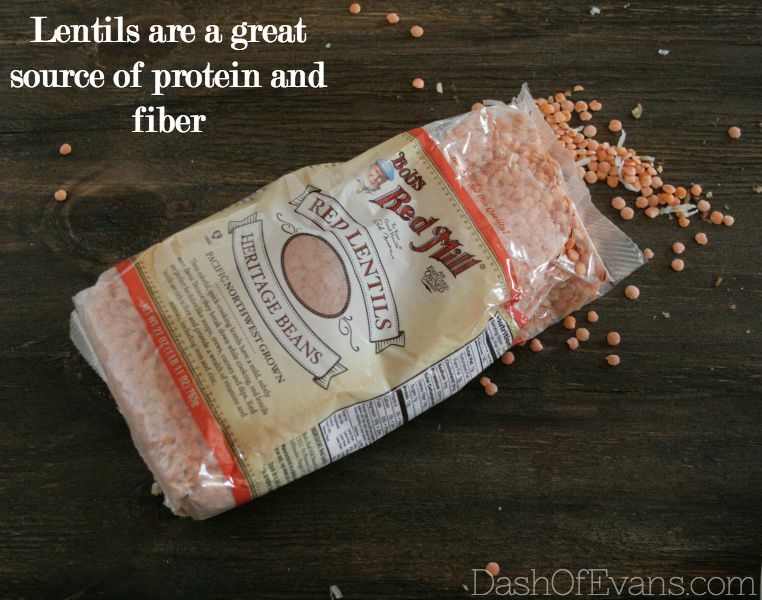 Lentils are a great way to add extra protein to any meal. They cook up quickly, too. Bob’s Red Mill was nice enough to send some red lentils for us to experiment with. I had intentions of sharing a tasty smokey chicken and lentil soup, but we gobbled it up before I could even snap a photo! Maybe that will be for next month. Ha! Naan bread is the best side for this dish. My girls love that they can scoop it up with the bread, instead of spoons! 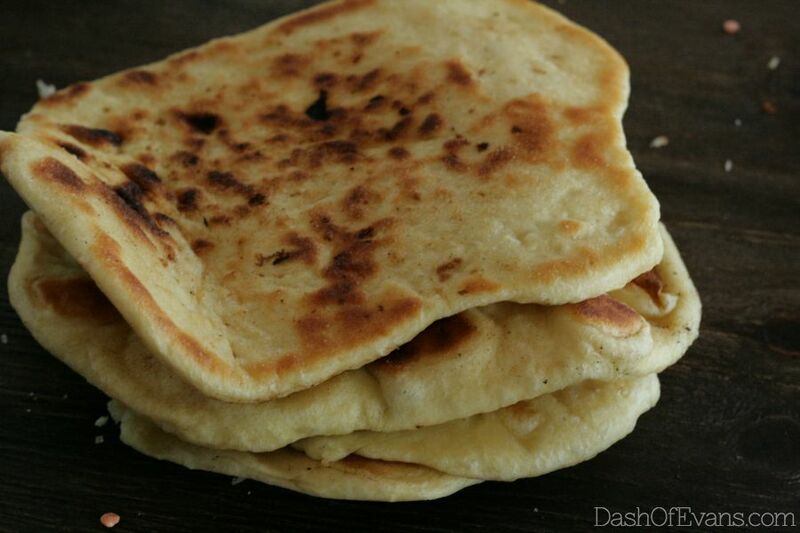 My Greek yogurt naan recipe is super simple and the bread turns out light and fluffy. It’s still one of the most popular recipes on my old blog. Gabby helped me make a big batch for this soup and Pizza Friday. I use Better Than Bouillon , it's amazing! Make Naan bread dough. Since it has to rise for 45 min, it's best to start first. In a dutch oven, or large soup pot, melt coconut oil over medium heat. Add carrot, jalapeno and onion. Saute for 4-5 minutes. Add apples, ginger and tomatoes and cook 3 minutes. Now add garlic and spices. Stir to combine ingredients with spices. Turn to medium-low and add lentils and vegetable stock. Bubble for 30 minutes uncovered, stirring occasionally--get ready for your house to smell AMAZING! Cook up naan while soup is cooking. Try not to eat it all, like my family did. With a hand blender, or regular, blend soup. I liked it really smooth, but you can leave it a little chunky too! Pour in coconut milk. Stir and serve with toppings. 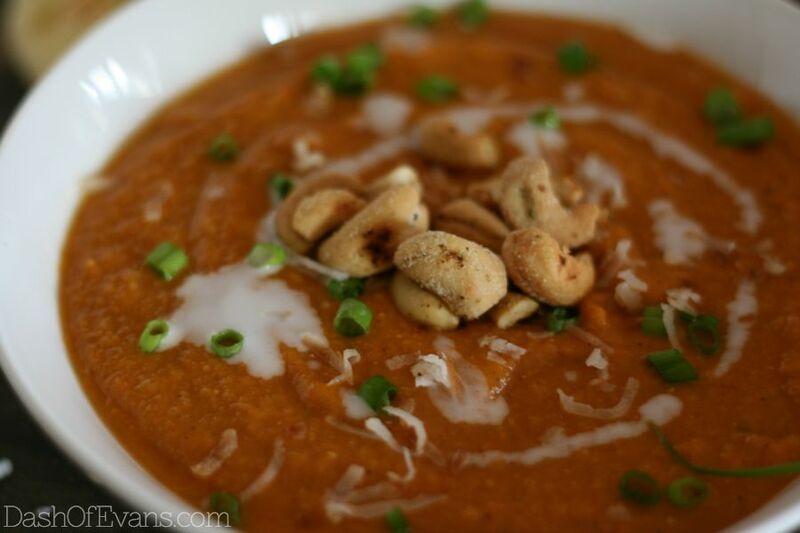 The crunchy cashews add a great texture--I used jalapeno flavored ones! Since soup season is here, I have quite a few kitchen helpers that will save some money. I used to buy cartons of stock in bulk, but I’ve found Better Than Bouillon jars are much better and they have tons more flavor. You can grab them in a low sodium variety in chicken, vegetable and beef. I add teaspoons into boiling water for rice, soups and anything you would pour stock into. Another lifesaver I’ve been using are Litehouse freeze dried spices. Found in the refrigerated section at the grocery store, yet they are completely shelf stable. My garden went majorly downhill after July and my herb selection was limited. I love to have the ginger, thyme, lemongrass and chives on hand to spice up meals. Once they hit heat, they have the same flavor as fresh spices! What’s your favorite soup for fall? Do you use lentils? Ooh, I LOVE Indian food. I don't think I tried it until college though. Especially naan :). That's how I was. I think you'd like this! There isn't any diary in it either! 🙂 The Greek yogurt from the naan should be okay for you. That looks really good! I had never had Indian food until I married my husband. I love Naan bread, so I really need to save that recipe. Please let me know what you think, if you try it! We've made it rolled in cinnamon sugar before and it was like a healthier Elephant Ear! That soup sounds interesting. I would love to try it I love trying new foods and I love spice! Let me know what you think! I love that all of the spices are easy to find….probably most in the spice cabinet already! The soup and bread look yummy! I'm not much of an adventurous eater and seldom try new recipes. Thanks for the recommendations! This looks so fabulous! I love soups and stews in the fall, but I've never tried anything like this. That looks amazing. I wish I had a cook! Beautiful!